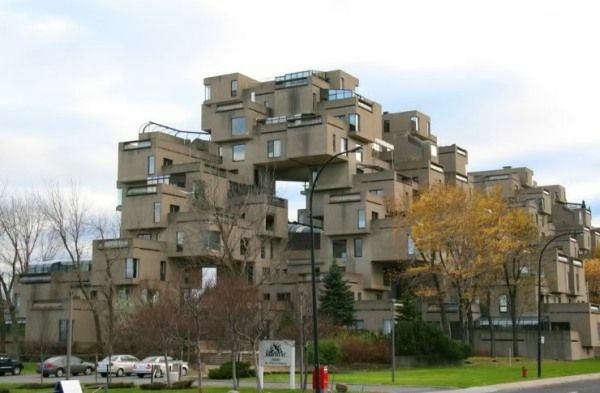 Moshe Safdie’s “Habitat 67” is an iconic landmark that has inspired architecture since its inception in 1967. This apartment building in Montreal, Canada, offers tenants the possibility of living in a village-like atmosphere within a high-rise context. The stacking of each apartment allows each tenant to have a one-of-a-kind unit layout while sharing a garden terrace with an adjoining tenant. The only commonality of these unique spaces is the panoramic view of the city skyline across the St-Lawrence river below. The mandate for the H67 project was to refurbish a unit that had been remodeled many times in the past, resulting in views obstructed by opaque interior partitions. As a result, the primary challenge for was not only to restore the panoramic views to optimize the distribution of light throughout the apartment but to also retain the private interior spaces required for comfortable living.